Distributing gifts at Army School, Ahmedabad. Marking the 72nd Independence Day of the nation, Dukes India distributed its products to students at Army Schools across the nation. 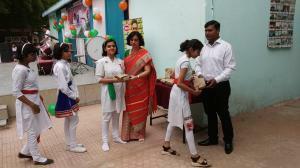 HYDERABAD, TELANGANA, INDIA, August 16, 2018 /EINPresswire.com/ — Marking the 72nd Independence Day of the nation, Dukes India distributed its range of products to students at Army Schools across the country. Spreading the message of patriotism by honouring the Soldiers for their invaluable sacrifice for the nation, Dukes products were distributed to students at the Army schools across the country which included Army schools at Kamraj Road, Ballygunge, Narangi, Lucknow, APS Ahmedabad Cantt, and Thane district. The Independence Day celebrations are an integral part of India's culture since it was the day India earned its freedom. On this day, students participate in various activities organized in schools including debates, poetry, and drawing competition. This initiative by Dukes is unique and first of its kind by any confectionary or biscuits major in India. 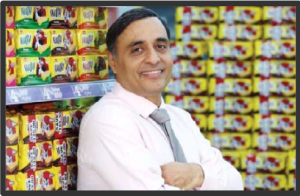 About Dukes: Dukes has been a shining brand for over two decades excelling in the competitive Wafer, Biscuit, Chocolate & Confectionery market. The diverse range of products made from innovatively developed recipes & authentic ingredients conforms to the highest quality standards. Small wonder, Dukes, has transcended geographical boundaries and spread happiness & sweetness across the country as well as in countries abroad. Manufactured under the banner of Ravi Foods Pvt. Ltd., based out of Hyderabad, the state-of-the-art infrastructure includes multiple plants across strategic locations in India. Confidently stepping into the future, ‘Dukes’ promises even more spectacular treats for its loyal consumers. Committed to achieving excellence in quality standards with long-lasting freshness, Dukes adheres to supplying products as per global norms. Developing rich, quality and nutritious products with the finest ingredients across a range of flavours, Dukes always delivers on customers’ expectations giving them numerous reasons to expect more from and count on to satisfy cravings. With the perfect combination of a traditional confectionery and technological progress, Dukes maintains high-quality standards as well as an accelerating demand in the market. It’s more than just a recipe when it comes to Dukes. Dukes loves to make what you like to eat.